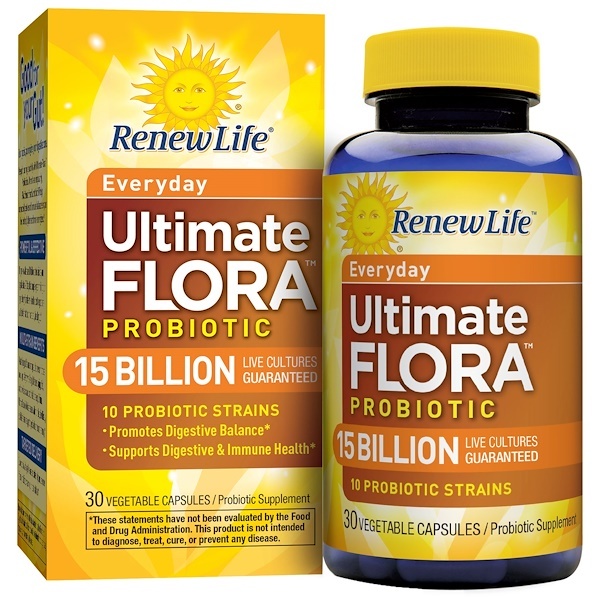 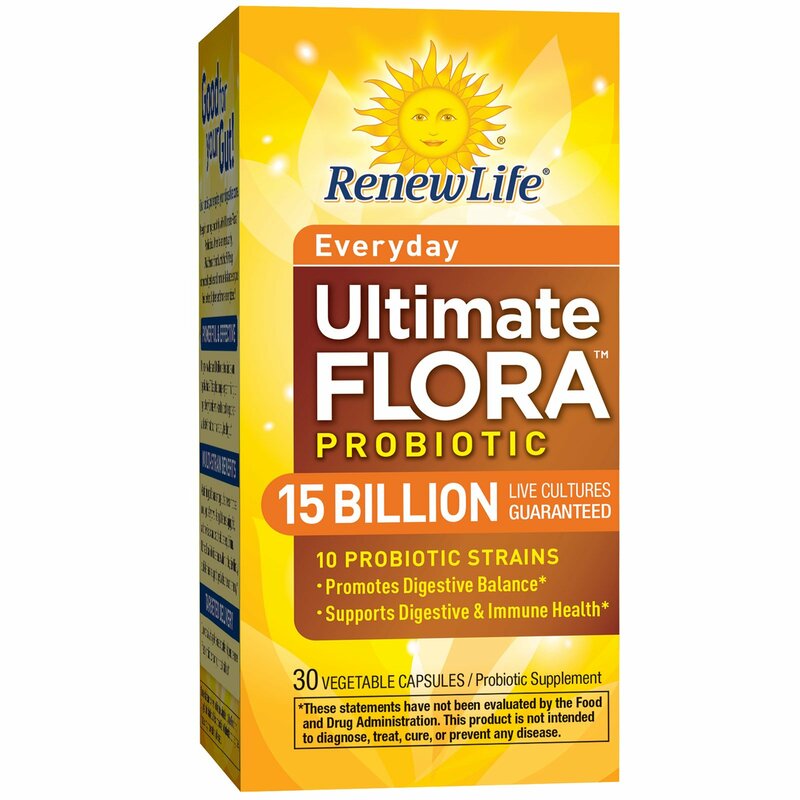 Ultimate Flora 15 Billion Everyday Probiotic contains 10 specially selected strains to support digestive balance and immune health. 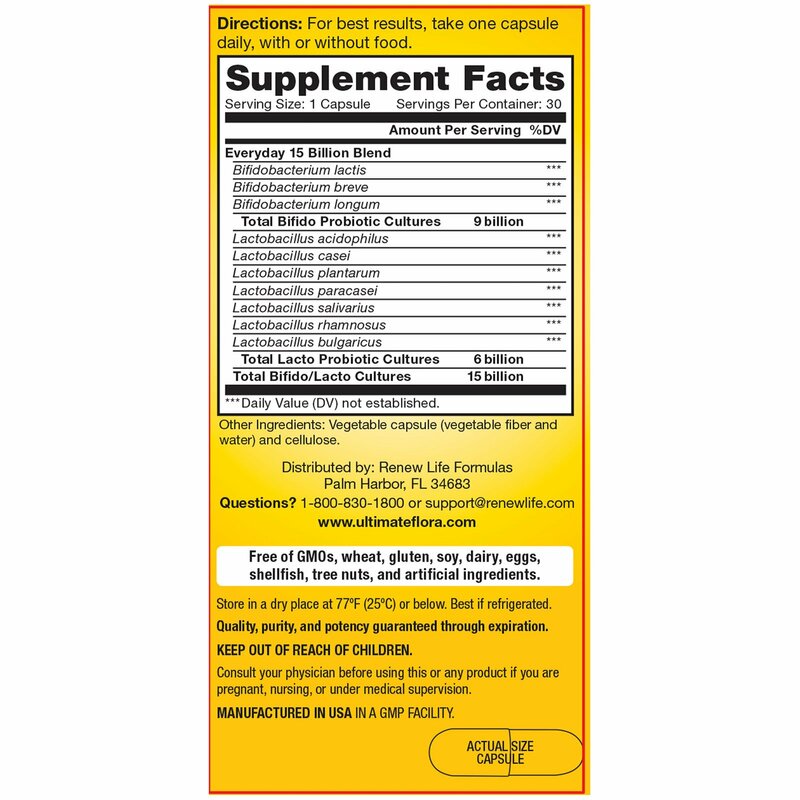 Store at 77°F (25°C) or below. Best if refrigerated.